Happy February! Pretty much everyone I know is celebrating the passing of January but honestly, I'm a little sad to see it go. I'll be returning to work soon and I'm not mentally prepared. And surprisingly, I'm enjoying the cold weather. Granted, I'm in Virginia and our coldest has only been 3 degrees, not the -50 degrees they saw/are seeing in other parts of the country. Also, being currently unemployed, I get spend my days curled up under a warm, fuzzy blanket with my knitting in hand. What's not to love about that? I'd planned to talk about knitting in this post but I got distracted. I received my Uncalendar today. I've been anxiously awaiting its arrival but now that it's here, I'm frozen. Have you heard of the Uncalendar? 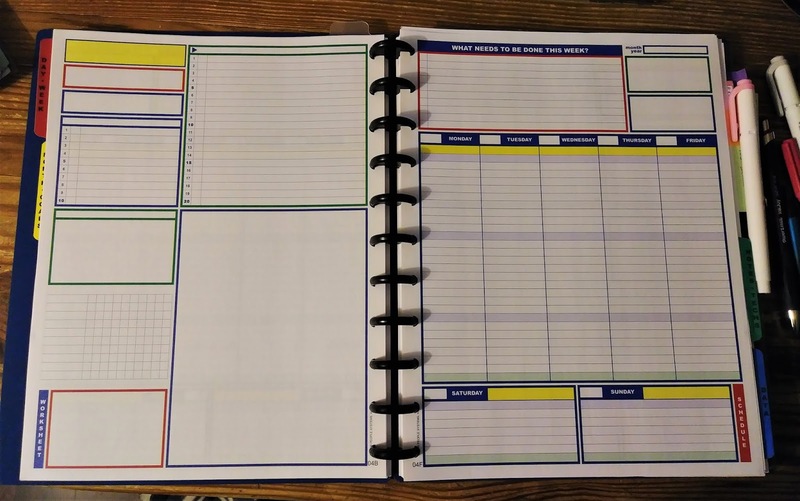 It's an undated planner system geared for the list makers of the world. It has an annual goals page, regular month-at-a-glance pages, these fabulous weekly pages and some awesome Notes pages. Both the weekly calendar and the Notes are two-page spreads with one of the pages being full of various sized and unlabeled boxes. You can put anything you want to in those boxes! The possibilities are endless... And thus the reason for my frozen state. I'm overwhelmed by the possibilities. I'm a list maker at heart though so I'm sure it won't take me long to fill those boxes. Give me a week or two and I'll be complaining that I need more boxes. Meanwhile, if you use the Uncalendar and have any tips or suggestions on fun, productive ways to use the pages, I'd love to hear from you. I’m a list maker too and the uncalendar looks interesting. I use a pocket Moleskine daily calendar. There’s no rhyme or reason to my method. I think I mostly use it to get the thoughts/plans and things I want to do out of my head. Good luck and hope you do another post on how it’s working for you. I agree that the uncalendar looks interesting. I use a filofax with a weekly calendar and a to-do list and that works even though I'm kind of always going back and forth. That's just brilliant! I'm such a sucker for things like that. To own. I'd never be able to write on all those pretty pages. I'm weird like that. The uncalendar does look interesting. But other than the wall calendar in the kitchen where I put doctor appointments, I don't use anything. Sometimes I make lists, but not all the time. I hope you post about it again once you are using it! love your un-calendar!! fun fun fun! I'm like you and I loved January and am a little sad to see it go. I am bookmarking that for next year for my knitting/sewing! It wouldn't work for our family calendar, but def for my crafting.